Rajamahendravaram: ONGC’s onshore unit, Rajahmundry Asset, has observed Constitution Day on Saturday. Commemorating the occasion, the employees enthusiastically participated in a walkathon. 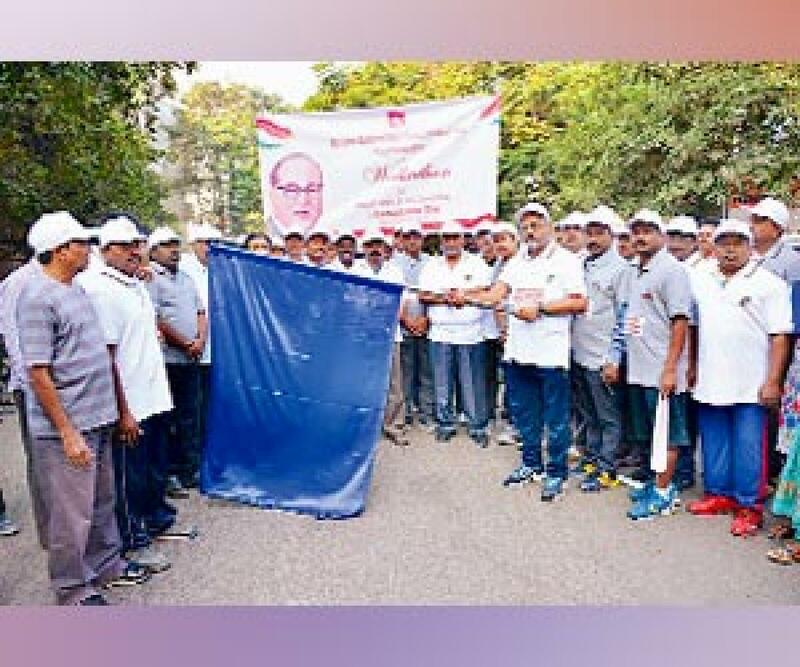 The walkathon was flagged off by SD Maske GGM – Officiating Asset Manager. The walk was aimed to spread awareness amongst the youth and general public about the spirit of the Constitution. Later in the day, the Preamble to the Indian Constitution was read out to the employees in English, Telugu and Hindi. Speaking on the occasion, Maske said, “Dr Ambedkdar and his contribution to the Constitution of India should be remembered. It is the need of the hour to imbibe the spirit of the Constitution to overcome socio-economic problems the nation is facing,” he added.